The alluring flowers of this delightful new breeding caught my eye the moment I saw them. The flower shape is completely unique in Begonias. Ideal for patio containers, window boxes and hanging baskets, the cascading stems will cover the edges of baskets and containers providing a glamorous summer long display. 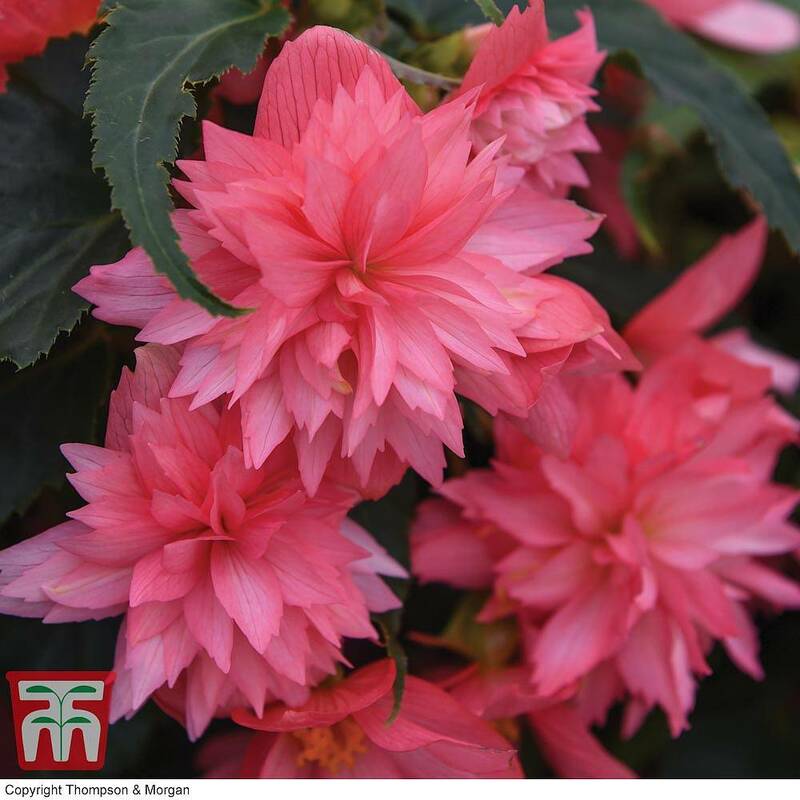 For years the growers have been saying that their top selling variety Begonia Apricot Shades has been unrivalled in terms of flower power. This breeding has given them a definite rival. The blooms are non-stop through the summer and through into the autumn. 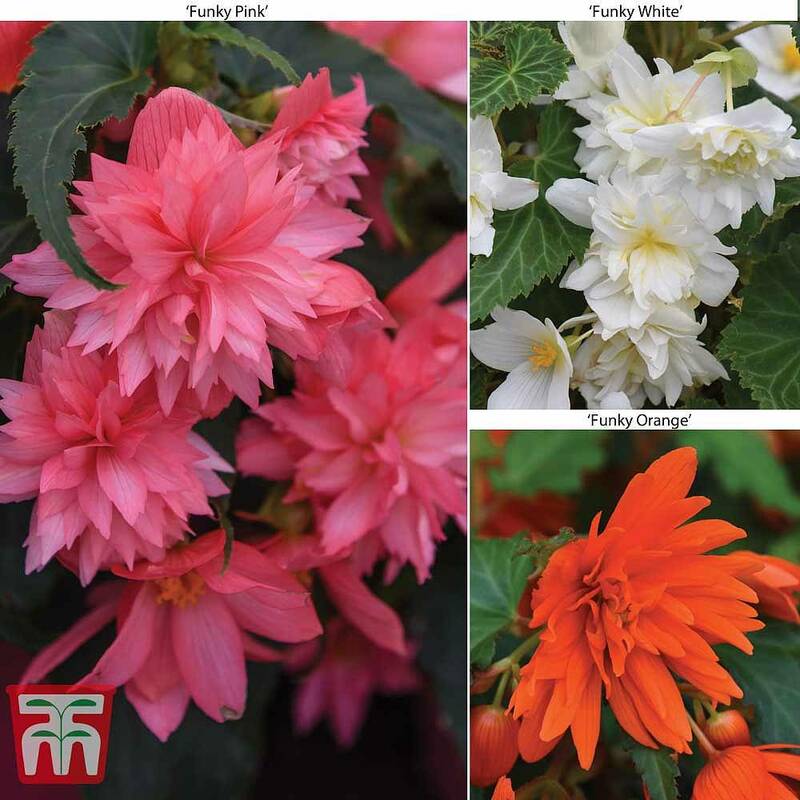 Begonia Funky Series also has weather tolerant flowers. This is a godsend in our extremely variable U.K summers. They will provide their very long lasting display both in full sun and dappled shade. This is one of the joys of growing Begonias, that they adapt to almost any situation bringing beauty to the garden even in the dullest of spots. These exquisite plants have a height and spread of around 45cm (18in), so not many plants are required to give an irresistible display in your summer containers. 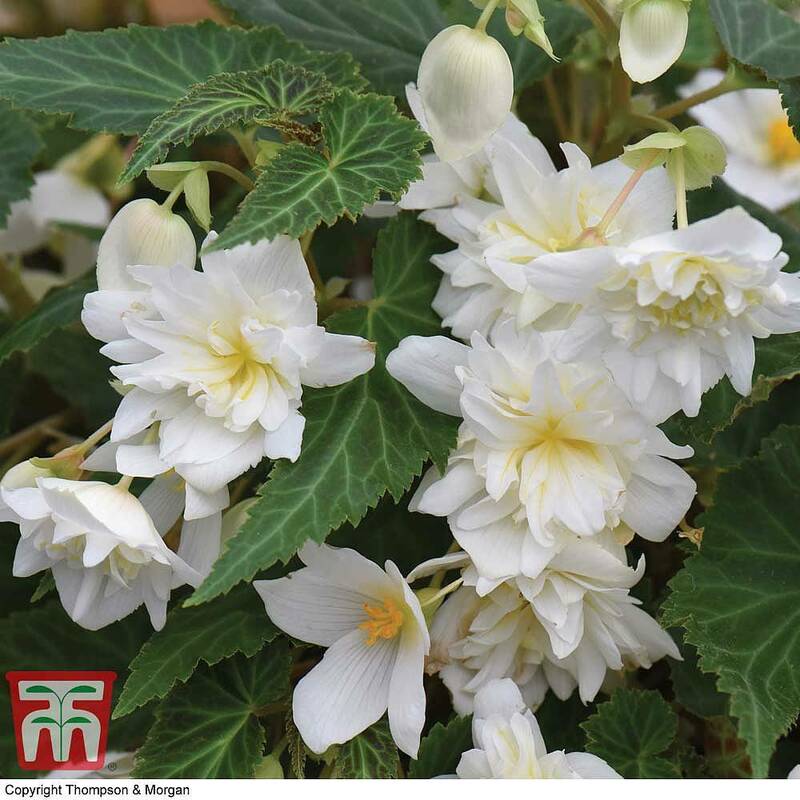 Whilst Begonia Funky Series will obviously require regular watering and feeding throughout the growing season, take care not to overwater as this can cause new buds to drop with Begonias. Plants must be protected in a bright, frost free position such as a windowsill, conservatory or greenhouse until the last frost has passed in your neck of the woods as they are half hardy.